The Forever Wild conservation easement is one of the most simple transaction documents in the conservation business. It also creates preserves with maximum protection, clear restrictions, and simple reserved rights that are relatively easy to enforce for the lowest cost. The following elements can be used in easement writing for the protection of forever natively wild conservation easements. Note: The Forever Wild terms should be used to augment the standard types of thorough restriction clauses on changes in topography, alteration of wetlands and watercourses, prohibition on structures, etc. The recitals should be augmented as well, at least if the donor is seeking a tax deduction and thus must follow the typical IRS requirements for conservation purposes and reference preservation of a significant “relatively natural habitat of fish, wildlife, or plants, or similar ecosystem” in accordance with Section 170(h)(4)(A)(ii) of the IRS Code. WHEREAS, Forever Wild land preservation can be used to prevent further fragmentation and habitat loss and to restore Ecological Integrity (Frelich and Reich, 2003) (as hereinafter defined). “Biological Diversity” is the variety of life and its processes; it includes the variety of living organisms, biotic and abiotic, the genetic differences among them, the communities and ecosystems in which they occur, and the ecological and evolutionary processes that keep them functioning, yet ever changing and adapting. “Conservation Sciences” include scientific disciplines such as conservation biology, restoration ecology, hydrology, zoology, ecology, and botany when they are applied to the study, documentation, protection, maintenance, and restoration of ecological and evolutionary processes that sustain species, natural communities, and landscapes. “Ecological Integrity” describes a condition in which natural processes (e.g. floods, fire, drought, seed dispersal, nutrient cycling, and maintenance of microclimates) are allowed to occur within their natural variation over time without human manipulation or suppression. These natural processes influence habitats that support native plants, animals and other organisms in groupings appropriate to the natural landscape. This dynamic and changing environment provides opportunities for biological evolution. “Forever Wild” is a designation for land protected in its natural condition. The Ecological Integrity and wild character of the land are preserved and protected in perpetuity. Forever Wild land should be as free from human manipulation and disturbance as possible, with management actions, if any, primarily limited to ecological restoration or to preservation of natural communities and rare species that would exist in a native wild landscape. Natural occurrences such as floods, weather events, fire, and native insect outbreaks should continue to influence the land over time, creating at times areas of downed and dead wood as well as early and mid-succession habitat. “Native Species” are those that were present in an area prior to Euro-American settlement or that have moved into an area since that time without human facilitation. “Exotic Species” are non-native animal, plant, or other organisms that through their capacity to spread into native systems demonstrably or potentially threaten native species. To preserve and restore the Forever Wild character of the Protected Property in a natural condition with minimal interference by humans in order to conserve plant and wildlife habitats and Biological Diversity, native flora and fauna, and the environments and ecological processes that support them, as those values exist on the date of this Easement as referenced in the recital clauses of this Easement and as they may evolve in the future; and to contribute to the preservation of forest ecosystems and other natural resources through planning, land acquisition, conservation and stewardship. Grantee and Grantor recognize the wildlife habitat, wilderness, and natural values of the Protected Property, and share the common purpose of preserving these values for present and future generations through the conveyance and acceptance of this Grant of Development Rights and Conservation Easement. Cutting, removing, logging, digging, or otherwise injuring or destroying trees or other native vegetation. Managing for forest products or other natural resources extraction, or primarily to favor game species. The right to control or remove by legal means for ecological reasons, Exotic Species, or pest species of plant or animal including feral animals, or to control disease outbreaks as certified by widely accepted scientific opinion published in peer-reviewed Conservation Sciences literature and by official government declaration, and to restore areas impacted by such activity with native flora. If such control or removal involves the use of insecticides, herbicides or other biocides, such application shall be by the narrowest spectrum, least persistent material appropriate for the target species, and shall be consistent with the Purposes of this Easement. The use of any pesticides in the neonicotinoid family is prohibited. The right to carry out low-impact land management actions designed to assure ecological restoration or preservation of natural communities and rare species to a scale and density that matches the best peer-reviewed Conservation Sciences knowledge of their pre-Euro-American settlement state. The right to conduct limited cutting of dead or damaged trees to remove dangerous conditions (but not to remove dead or dying trees that are not a hazard). If dead or damaged trees are cut, whenever practicable the wood shall remain on the Property in as whole a state as possible. 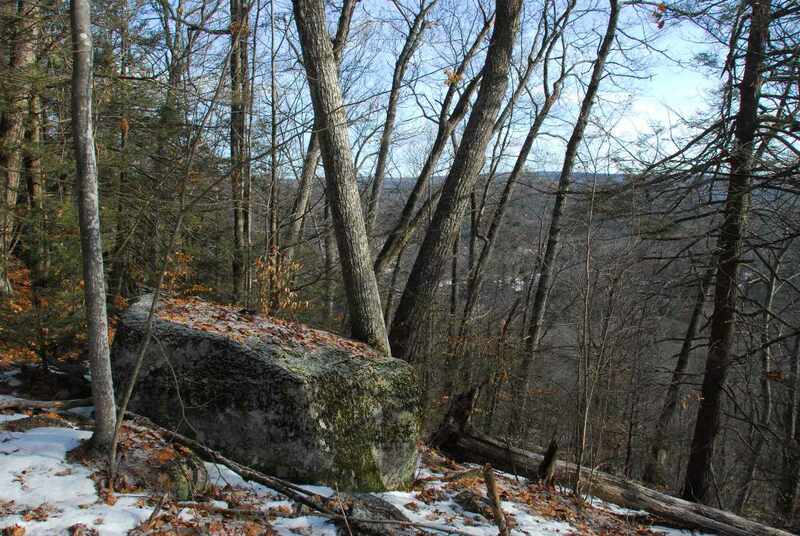 This document is based on Northeast Wilderness Trust’s evolving FW easement and in particular the work of Marisa Riggi. Gratitude is extended to Linda Francois, Esq., for her reviews of and contributions to the drafts. Microsoft Word and PDF versions are available on request. Full easement models for various New England states (applicable elsewhere, with your customization) are also available. The writer is available for project consultation and FW outreach. Previous articleWhy Protect Land? A Running List For Recital Writers.